Photo by dailymare. More images in the Citizens' gallery. Add yours! The Wikli is an informal e-flyer containing alerts and messages of interest to Columbia City neighbors. Anyone can contribute, and anyone can edit. Subscribe to the Wikli, Columbia Citizens' neighbor news. You'll get one email per week. Gateway project, community meeting (Tues). In the calendar, you can click through to each event's online information. If a local event is missing, please send a Citizen's alert. 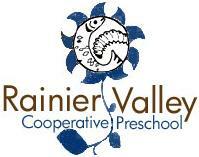 Come say hi to some Rainier Valley Co-op Preschool parents at the kids tent. We'll be doing leaf rubbings to celebrate autumn, and we'll be passing out coupons for the Columbia City Toy & Clothing Sale coming up on the 27th. As always, kids tent activites are free and fun. Stop by and see us! Friday, October 19 marks the long-awaited return of Play 'n' Learn. This is a fun and educational program for kids from birth to age 5 and the grownups who care for them. It takes place from 11:30 am to 1:00 pm on Fridays in our meeting room. This year Neighborhood House is our partner, providing fun activities. It's a bilingual program — one of the teachers will be interacting in Spanish and English. It's free, no preregistration required. When you're at the library, please get a library card for you and your child. And ask for Nancy, the children's librarian. I'd love to meet you and help you find books! Celebrating 40 Years of the works produced by the Al Doggett Studio, and recognizing the creative contributions of an African American working artist in our community. Opening its doors in 1967, Al Doggett Studio has served the community of Seattle, providing commissioned paintings, sketches, drawings, commercial art services in illustration, graphic art, fine art, fine art photography & photographic retouching. Bank of America's Columbia City branch is hiring a part-time teller. You can post other local job listings. The Columbia City Cinema gets some welcome support. Graham Hill Elementary honored by state as a "School of Distinction". Mikala Woodward offers a colorful sketch of Columbia City's historic love-hate for hard drink. Neighborhood House delivers a seamless program of public health and cultural wealth. This multiracial family sought out a place to feel at home, and they've decided it's here. Check out Ian Gilman's thoughtsam — hopefully to be continued — now in neighbors. Use the Columbia Citizens forum to send a Citizen's alert, to propose a new idea, to ask a question, or to start a discussion. Citizens have discussed future neighborhood change — feel free to share what you know, or ask about what you'd like to figure out. A Citizen has posted a desperate plea for the perfect portable pizza. Wean the Wikli of its spamming ways. The Wikli now has an amazing support group to help it achieve its spam-free future. Lots of Citizens have signed up to get their Wikli alerts directly. If you're still getting your Wikli fix by other means, you've got three more weeks before we go cold turkey. You can always send an email to opt in now. Lots of fall colors out there. Citizens, catch them while you can, and then share them here! Trying to edit this WikLi? Subscribe to the Wikli, Columbia Citizens' neighbor news. You'll get one email per week.